Dressing the Guest Bathroom Window! One year later, I can finally cross off another item on the guest bathroom renovation "to do" list! We finally installed a "real" window covering. The temporary paper covering was well overdue on getting its replacement. I finally decided on a natural woven roman shade in a warm golden honey hue. 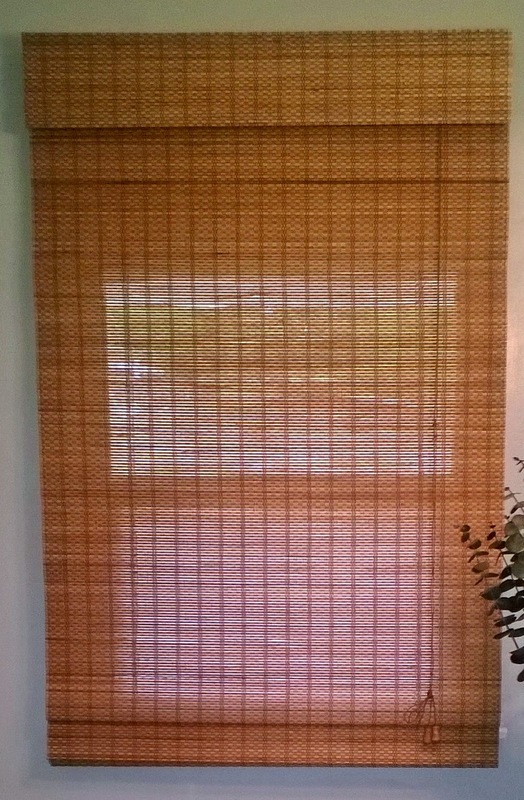 I went back and forth between using a decorative fabric or woven shades. The natural woven shade ultimately won out since I felt the room could use an organic element. 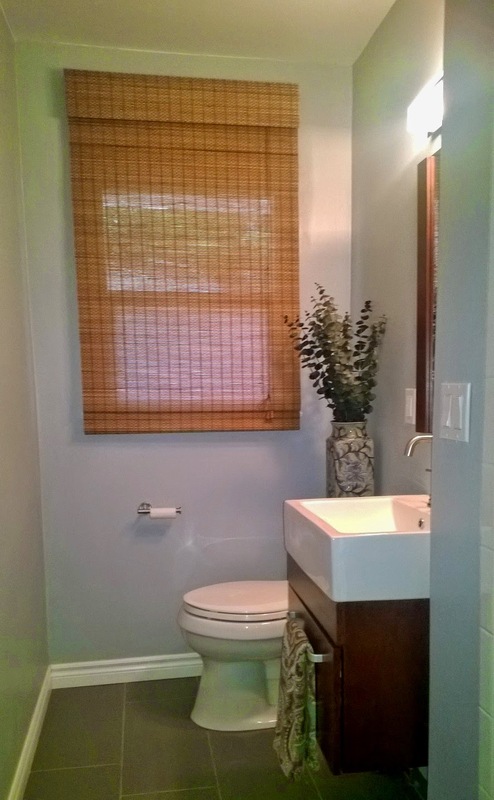 It adds warmth and texture to the more modern finishes of the bathroom. It also provides privacy while filtering natural light. 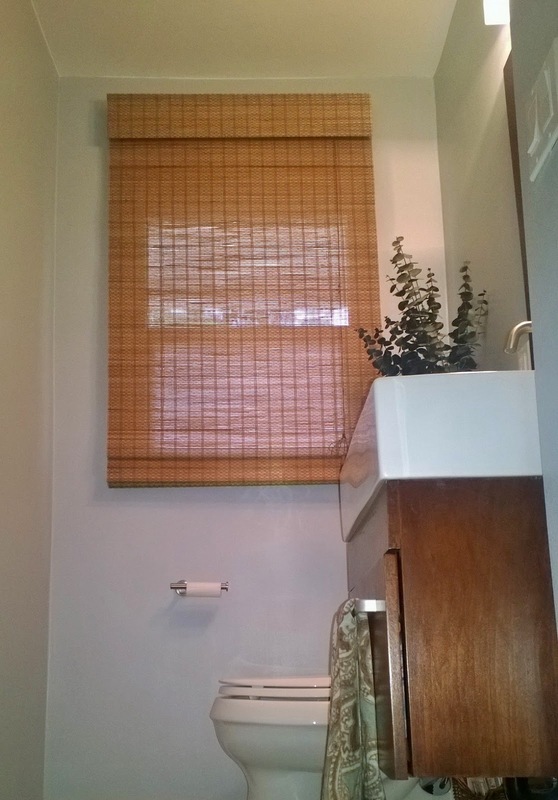 The bathroom is at the front of the house (facing the street), so the shades are left down most of the time. It's a small addition, but a functional and decorative one! Window treatments help complete a room, similar to how accessories complete an outfit. :) For "before and after" photos, click here. Tip: Install window treatments a few inches above the top of the actual window to add height and draw the eye up. In our case, the roman shades were installed about 12 inches higher than the top of the window trim, to just below ceiling height.